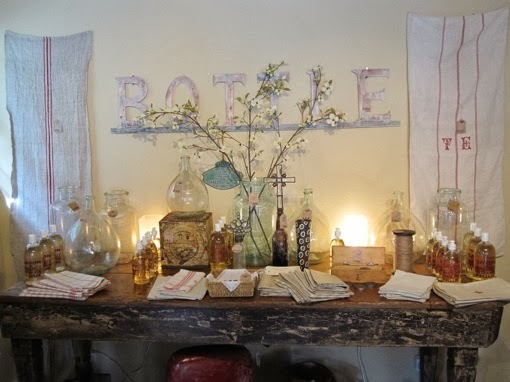 Over the past few years, Patine has become one of my favorite home decor boutiques. 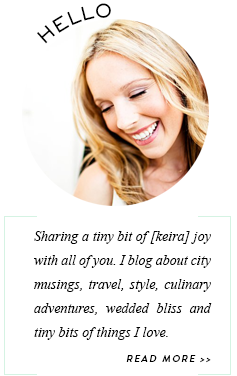 It's located in La Selva Beach (my little hometown) which seems unusual because it's a sleepy beach town, but then again it also makes it a hidden gem to discover. 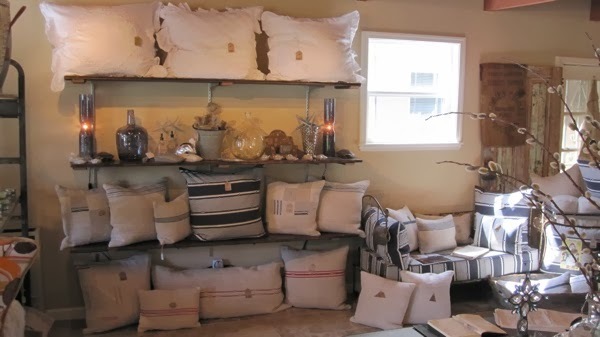 Dani and her husband Eric have developed a loyal clientele who come from Santa Cruz and surrounding areas to stock up on fabulous vintage finds and homemade goods like the striped Euro-Linen pillows you see below. 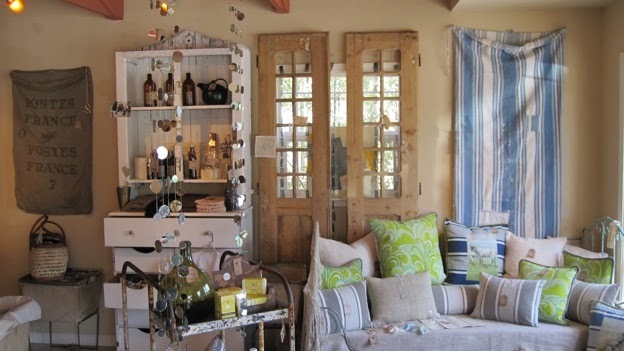 Dani and Eric scour antique shows and flea markets for jewelry and decor and they source even more goods and the fabric for the pillows in Europe. 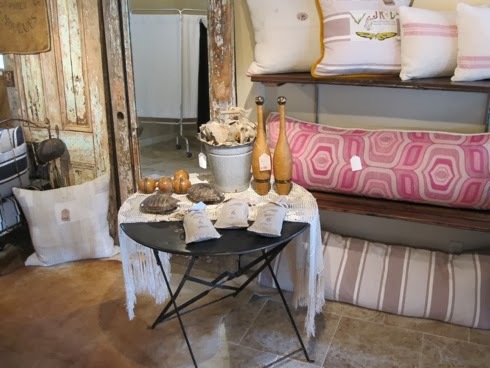 Dani is so knowledgeable about every product she sells…it seems every piece of clothing, furniture and jewelry has a story to tell. 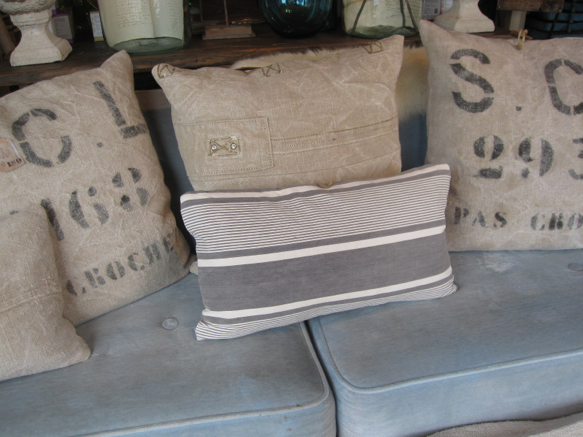 I've been eyeing this grey/blue striped pillow for some time now to pair with my two dark leather chairs in our living room. They would add a bit of style without taking away from the blue, cream and yellow hues I've already got going right now. One of the perks of Patine is that they carry Compagnie de Provence soaps and lotions, which I love and use all the time. The rose and mediterranean scents are my favorites, along with the lavender and olive oil hand lotion. 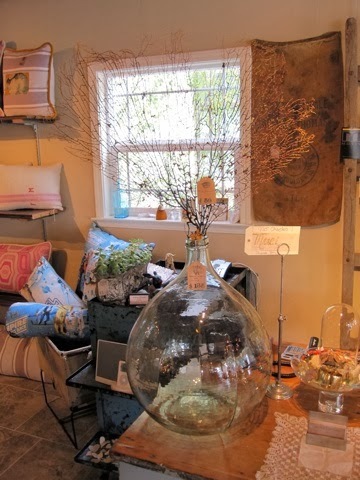 There's also a great selection of sea glass bottles that come in all shapes and sizes - from smaller milk bottles to beautiful big vases like the one below. 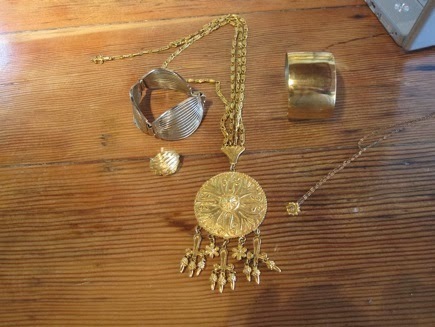 I have three in descending size sitting on top of my bathroom cabinet and they look beautiful and spa-like. Practically every time I'm in there, I'll pick up one of the vintage scarfs for $10 or less - the selection is different each time and ranges from Hermes to Chanel (such a steal!). 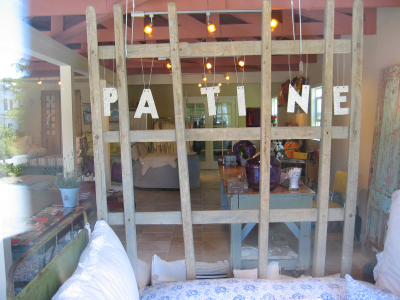 If you're ever in La Selva Beach or if you're driving down to Monterey or Carmel, make sure to stop by Patine and see what goodies you can score. Happy shopping!